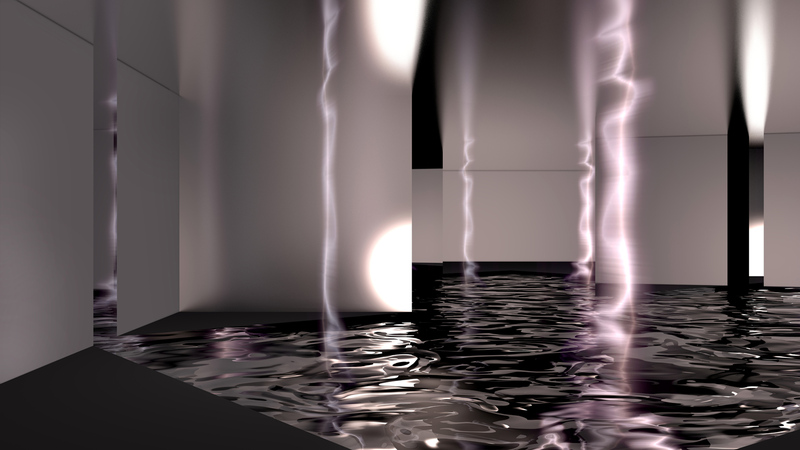 Sabrina Ratté’s video practice investigates virtual environments generated by analog technologies. Electricity, as raw material, is sculpted, transformed and altered digitally to be reborn as luminous and vibrating architectures. Her videos exist between abstraction and figuration, utopia and dystopia, architecture and landscape. Her works include installations, prints, sculptures and live performances. Previous exhibitions: Dolby Gallery (San Francisco), Young Project Gallery (Los Angeles), Whitney Museum of Art (NYC), Paddles On! 1st Digital Art Auction at Phillips (New York), KEK (Basel), EMPAC (Troy), Museum of the Moving Image (New York), International Digital Arts Biennal – Bian (Montreal), PHI Center (Montreal), Arsenal (Mtl), the Lampo series (Chicago), Atonal Festival (Berlin), Elektra, MUTEK (Mtl, Mexico, Barcelona). She is represented by the Laffy Maffei Gallery in Paris.